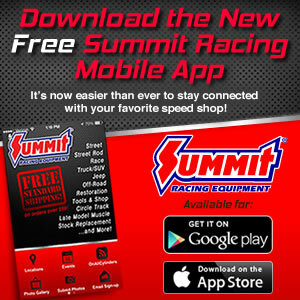 The 2013 IHRA Summit Racing Equipment Pro-Am Tour presented by AMSOIL Division 3 season kicks off June 28-30 at London Dragway in Kentucky for the first of three events in the division. Always an exciting race, the 1/8 mile showdown will feature a full racing weekend with a test and tune on Friday and two separate races on Saturday and Sunday. WHAT TO EXPECT: The first stop on the 2013 Summit Racing Equipment Pro-Am Tour Division 3 schedule will be at Kentucky’s London Dragway. Following a slew of upgrades over the offseason including a separate return road and expanded parking to accommodate larger rigs, an extended shutdown, timing system upgrades and more, London Dragway is looking forward to hosting the stars of the Pro-Am Tour for the third consecutive year. Gates will open at 2 a.m. on Friday, June 28 and will remain open through midnight. Tech will be open on Friday from 4-10 p.m. and there will be a track hosted test and tune from 6-11 p.m.
On Saturday, June 29 gates and tech will open at 9 a.m. There will be two time trial/qualifying sessions beginning at Noon with eliminations immediately following. On Sunday gates will open at 9 a.m. and God Speed Ministries will host a church service beginning at 9:15 a.m. Racing will get underway on Sunday at 10 a.m. with one time trial/qualifying session followed immediately by Day 2 eliminations. Box/No Box Combo Race – Saturday; $40 entry, $30 buyback; $1,000 to win, $300 runner-up.